In January 2018 I signed the contract to publish an edited monograph of my PhD thesis with Routledge. Tom Mole is Reader in English Literature and Director of the Centre for the History of the Book at the University of Edinburgh. 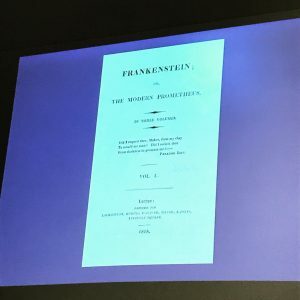 He has published extensively on Byron, Romantic-period celebrity, periodicals and print culture. His recent books include The Broadview Introduction to Book History and The Broadview Reader in Book History (both with Michelle Levy); he is also a member of the Multigraph Collective, which authored the recently-released Interacting with Print: Elements of Reading in the Era of Print Saturation. 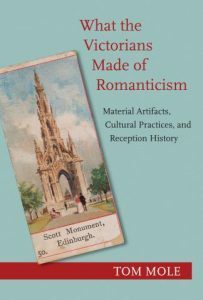 His new book, What the Victorians Made of Romanticism: Material Artifacts, Cultural Practices, and Reception History, which we discuss below, was published by Princeton University Press. 1) How did you come to realise that you wanted to write a book about what the Victorians made of Romanticism?